Who invented the Laptop? The name of the person credited with inventing the Laptop is Adam Osborne (1939 - 2003). Adam Osborne is not only famous as the English/American inventor of the Laptop, also referred to as a notebook, but also as a computer designer, author and publisher. When was the Laptop invented? 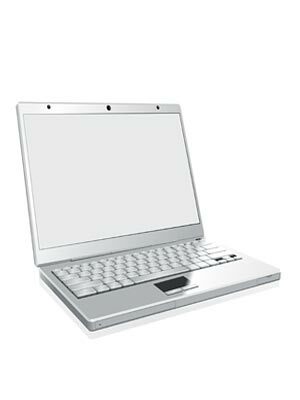 Adam Osborne invented the Laptop in 1981, during the Technology and Information Age of inventions. The invention of the first Laptop originated in England is considered a highly influential achievement, to the field of Computing and Technology. Definition of the Laptop: The Laptop is defined as a computer that is portable using an internal battery or an outside power adaptor. It has a screen that closes over the keyboard like a lid. Laptops are suitable for use while traveling, being small enough to rest on the user's lap. Fact 1: Who invented the Laptop? The first Laptop was invented by Adam Osborne in 1981 during the Technology and Information Age of inventions. Fact 2: Who invented the Laptop? Prior to the invention of the Laptop in 1981, several prototypes of small, personal, portable computers were developed, notably by Alan Kay at Xerox, but the Osborne 1, invented by Adam Osborne, is considered the first true mobile computer and the first to be made available to the public. Fact 3: Who invented the Laptop? Steve Jobs and Steve Wozniak revolutionized the world of Computing when they developed the first Personal Computer in 1976 and the portable, laptop computer followed six years later. Fact 4: Who invented the Laptop? The inventor of the Laptop, Adam Osborne, was born on March 6, 1939 in Bangkok, Thailand (British-Polish parents) and died on March 18, 2003. Fact 5: Who invented the Laptop? The early years of Adam Osborne were spent in Bangkok, Thailand and in Tamil Nadu in Southern India with his British parents, where he was raised by his family. His father, was Arthur Osborne, who was a lecturer in English at the prestigious Chulalongkorn University in Bangkok, Thailand. Fact 6: Who invented the Laptop? In 1949 the Osborne family relocated to England when Adam Osborne was 11 years old where Adam attended state schools and later went on to be educated at University of Birmingham, England in 1961 and moved to America to complete his studies at the University of Delaware where he gained his PhD in chemical engineering. Adam Osborne eventually naturalised as a US citizen. Fact 7: Who invented the Laptop? Adam Osborne's first job was with Shell Oil in California. In the mid 1970's he left Shell Oil and founded Osborne and Associates, later called Osborne Books, to create a series of easy to understand computing manuals and published more than 40 books. Fact 8: Who invented the Laptop? The invention of the first Personal Computer and the release of the Apple personal computers by Steve Jobs, energized Adam Osborne who became convinced that small portable computers were a natural progression to the bigger personal computers. Fact 9: Who invented the Laptop? Adam Osborne decided to develop the previous ideas on the viability of portable computers by Alan Kay who invented the Dynabook which was developed into Xerox PARC Note Taker. Fact 10: Who invented the Laptop? Starting in 1975, Adam Osborne, along with many other computer enthusiasts in Silicon Valley, frequented the now famous Homebrew Computer Club. Adam Osborne got to know Steve Jobs, Steve Wozniak, Steve Leininger and Lee Felsenstein at the Homebrew Computer Club. Fact 11: Who invented the Laptop? Adam Osborne approached Lee Felsenstein with the idea of starting a computer company that would produce an affordable, portable computer which would later be given the name 'Laptop' in 1983. Fact 12: Who invented the Laptop? In 1980 Adam Osborne founded the Osborne Computer Corporation in Silicon Valley in the southern San Francisco Bay Area of California. Fact 13: Who invented the Laptop? From 1981–1983 Lee Felsenstein was employed at the Osborne Computer Corporation and, working on Osborne's specifications, designed the hardware for a portable computer that had a case with a carrying handle. At Osborne, he was the designer of the Osborne 1, the first mass-produced portable computer - the Osborne 1. Fact 14: Who invented the Laptop? The Osborne 1 Laptop had a 5-inch screen and a large collection of bundled software applications. The Osborne 1 Laptop also had a battery pack, 91KB 5.25in floppy drives, 64KB of memory and 4KB of ROM. The Osborne 1 weighed 23.5lbs (12kg) and was priced at $1795. Fact 15: Who invented the Laptop? The Osborne 1 Laptop started as a massive success and the Osborne Computer Corporation achieved sales of $5.8 million in 1981 and reached sales of $68.8 million in 1982. However the company suffered from other laptop models being released by competitors, overstocking and poor quality of the production. Fact 16: Who invented the Laptop? Sales failed to recover and on September 13, 1983 Adam Osborne declared bankruptcy. He returned to publishing for a short period but began to suffer from a brain disorder that triggered minor but frequent strokes. Fact 17: Who invented the Laptop? In 1992 Adam Osborne returned to Southern India, where he had spent much of his childhood, and spent the rest of his life fighting the disease. Fact 18: Who invented the Laptop? Adam Osborne died on March 18, 2003 in Kodaikanal, India, at the age of 64. Fact 19 - Impact: How did the Laptop impact the world? The impact of the invention of the Laptop was a paramount step to improving the field of Computing and Technology. The invention of portable laptops enabled people to work wherever they wanted allowing businesspeople easy access to a computer even when they traveled. Who Invented the Laptop - Adam Osborne - Inventor - Invention - Definition - Meaning - Famous - Important - History - Timeline - Innovation - Significant - Development - Computing and Technology - First - Definition - Kids - Facts - Information - Info - Who invented the Laptop - Dates - When - Why - Impact - Purpose - Use - New - Old - Amazing - Best - Definition - Meaning - Awesome - Cool - Technology and Information Age - Laptop History - Timeline - Who Invented the Laptop?